Taadaa...she's done, finished, finito. It's almost like magic, all 8 pieces, 11 seams and 37 woven ends have come together to push my Sand Dollar Pullover firmly into the FO pile. Looking at the pretty now, it's hard to believe that I ever had doubts about how everything would come together. Suffice to say that I'd just finished reading Knitting in Plain English and in the heavily stylized photo in Knitting Nature the model was slouched on a tree branch. The sleeves were waaay too short for her and her stomach was still showing despite the fact that her skirt was hiked-up high above her waist. 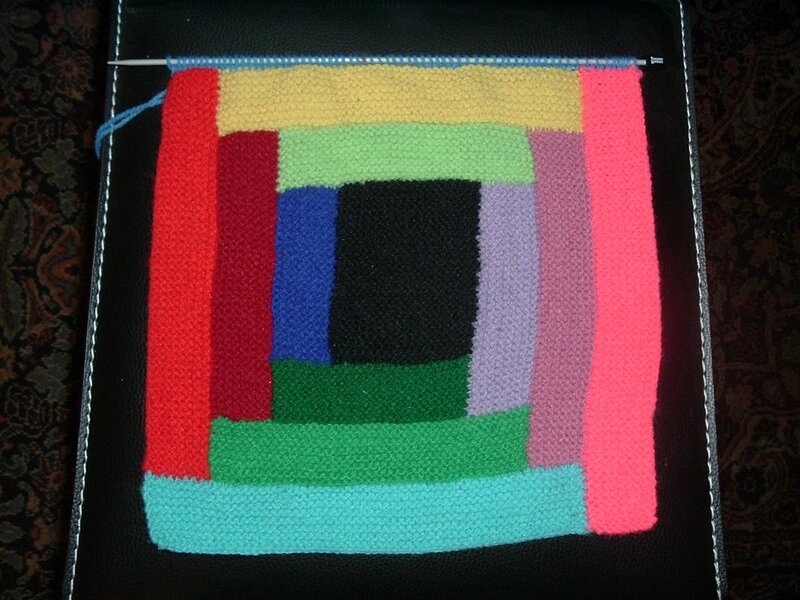 This initial concern wasn't helped by my shoddy gauge swatch. Yeah I swatched, but since I didn't want a mega-low-cut, high-riding sweater with 5" of ease I wasn't too concerned about completely missing gauge (plus gauge swatches lie, right?). I was ready to accept horrible failure and call it a process knit if need be. Then there were the pieces, so many pieces, none of which were even close to the measurements in the schematics. There was no way that they were all going to fit together and still make a sweater. I was wrong, Norah Gaughan was right. She's a genius, I will never second guess her ever again! 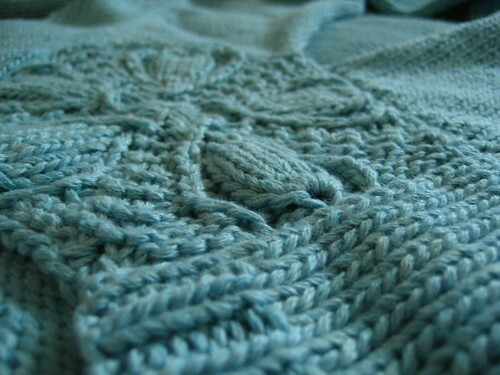 Her pattern makes a gorgeous sweater despite the million ways that it could have all ended with tears. See how pretty it is? Look at this center medallion! I am smitten with the construction of this sweater, Norah's use of bias makes the whole thing so darn flattering. I used exactly 4 skeins of Posh Yarn's Victoria in the lagoon colourway. It's a gorgeous cashmere, cotton, silk blend. 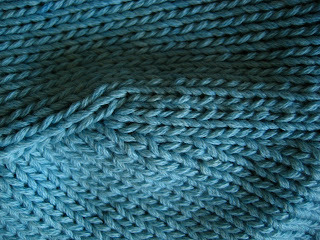 So soft and it has excellent stitch definition, and a fabulous drape. I knit the smallest size (40" bust), but thanks to the artistic license I took with my gauge it ended up being more like a 34" bust. I started it in September 2006 and finished it today!! And here's my very first set-in sleeve. I'm pretty proud of my seaming skills on this. I had no idea what I was doing but thanks to Norah and her amazing design it looks flawless. And lastly what you all really care about, what it looks like when you wear it... ;-) (click to big-ify). Posted by Amanda at 7:42 p.m. Very nice! You amaze me with your ever-growing pile of FOs. August 9, 2007 at 12:32 p.m. Very beautiful. I'm glad it came together so nicely, it looks great on you! August 9, 2007 at 3:32 p.m.
August 11, 2007 at 1:49 p.m.
August 17, 2007 at 7:03 a.m. Your sand dollar pullover looks fantastic!!! 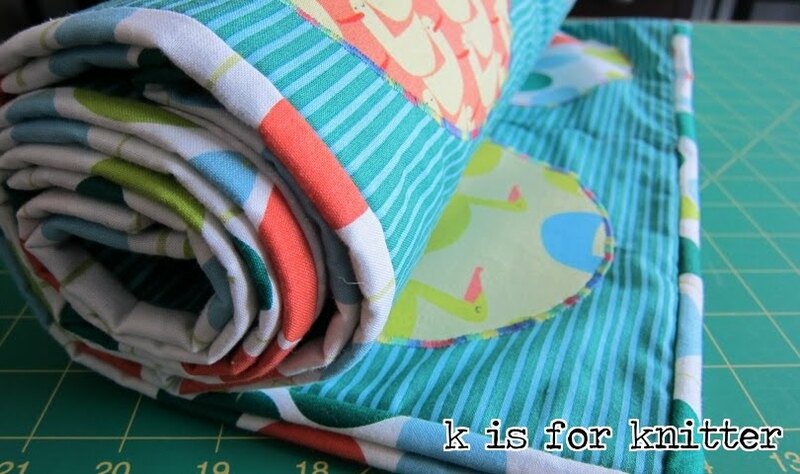 I just love Norah's patterns! August 18, 2007 at 12:26 a.m. This is a great sweater! I love that book...! August 20, 2007 at 1:38 p.m.
What a beautiful sweater; we are just back from the beach an seeing yours really makes me want to knit one! August 20, 2007 at 9:21 p.m.